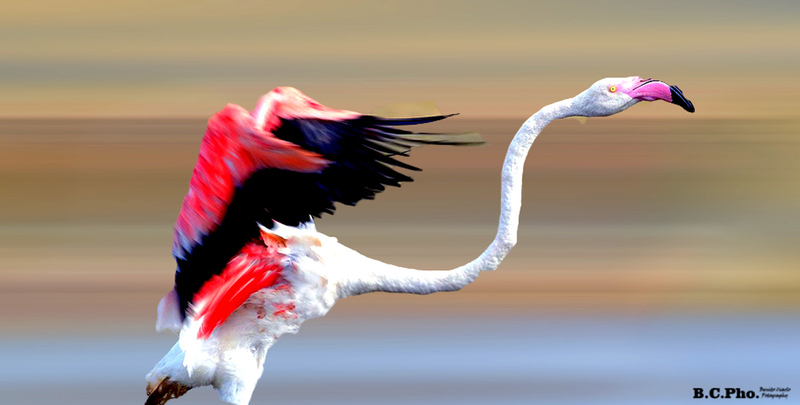 The Flamingo belongs to one of the oldest families of birds in the world, dating back over 50 million years ago. 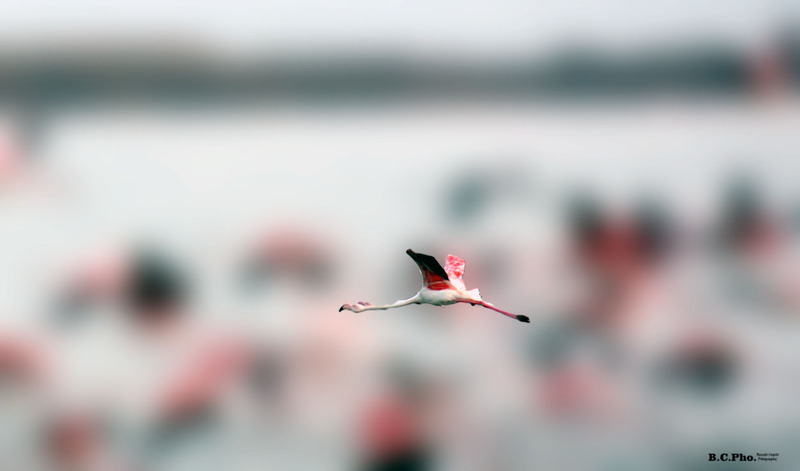 The flamingos were considered relatives with herons, storks and ducks. 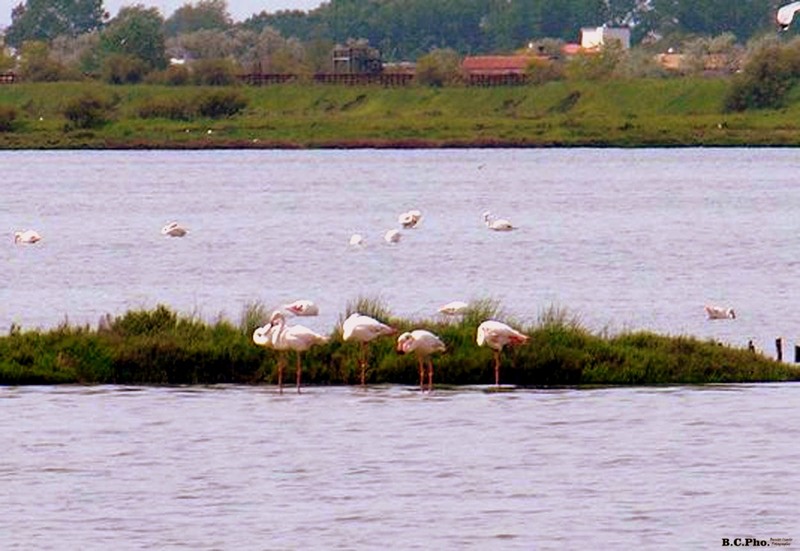 DNA analysis showed that the groups closer to the flamingos are actually the storks, ibises, spoonbills and vultures americani.Il color of the feathers of flamingos is due to the presence of certain organic substances: the carotenoids. 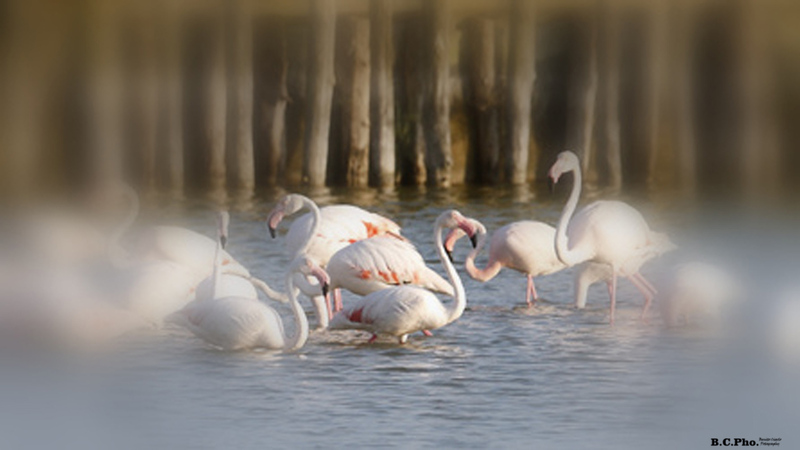 These substances are not produced by flamingos, but they are present in algae and small crustaceans (Artemia salina and others) on which they feed. In captivity, if the power supply does not include algae and crustaceans, flamingos gradually lose color and become white. The pigments are also not stable over time and pens falls during the molt quickly lose their typical color roseo.I exclusively flamingos nest in colonies rather numerous: in fact it has been found that individuals begin nuptial parades only if in the presence of numerous specimens the same species.